The first U.S. greenhouse cap-and-trade market opened on September 25th. Folks...this is a huge move where today's market of regulating greenhouse gases (GHG), carbon dioxide and methane are all on a voluntary basis. U.S. companies don't have to reduce carbon dioxide production or implement methane capture programs, but they are in some regions of the U.S.
Why? Profits, corporate social responsibility programs and more profits. This is much different compared to the European Trading Scheme (ETS) which is mandatory for businesses to follow within Europe where strict standards, thresholds and rigorous reporting are necessary. That is an important distinction, because if you are large beer manufacturer, for example, and have to follow guidelines set in Europe that your competitors in the U.S. don't have to... that ultimatley creates a unique selling proposition, a financial constrant, and implications of how to work with vendors for distribution. Now back to the U.S. cap-and-trade opportunity. Essentially, some environmentalists are smiling while other businesses are worried about how certain states will spend the funding. We can thank (maybe) ten states who formed the Regional Greenhouse Gas Intiative (RGGI) who are releasing 188 million permits annually for three years. 1 permit equals about 1 tons of carbon dioxide. So one company can implement a carbon reduction program and trade those "points" or "permits" with other companies who need to meet certain thresholds. It is not as simple as trading baseball cards and these permits are subjected to major evaluations by approved, accredited third parties. The application of flexible, market-based mechanisms for reducing greenhouse gas emissions is achieving widespread intellectual and political support. This broad acceptance of emissions trading was originated and is reflected in the Kyoto Protocol, which established several emissions trading mechanisms. As this topic becomes more understood, more profitable and gains more awareness...you can be prepared by reviewing the Chicago Climate Exchange (CCX). It is North America's only and the world's first global marketplace for integrating voluntary legally binding emissions reductions with emissions trading and offsets for all six greenhouse gases. Money and Water: Yes, Please. I'm getting quite annoyed by all the political campaigns and "talk" about the financial crisis. I get it already! Our economy has taken a turn, the Japanese are now buying our debt, and CEO's are rewarded by receiving golden parachutes. In the meantime, families down in Galvenston, TX, still do not have electricity or water. Here we are worried about our 401k's, mutual funds, stocks, etc. and in other places people do not even have food, clean water, or toilet paper to do you know what with! So let's think about something for a minute. While everyone is getting up in the morning, brushing their teeth, showering, making their coffee, driving to work, blogging, consuming more energy...simple families don't even have access to potable water. Of course, it is not just the Texas area. I hear you...yes, it's been a tough week for Mayor Thomas. But it's been a tough year, perhaps decade, for other areas with "cyclical" droughts. 1. In 2007, Lake Superior, the world's largest freshwater lake, dropped to its lowest level in 80 years. 2. Boomers are frustrated in Florida where many are trying to keep fast-spreading lawns and golf courses green. 3. California has a 20-year supply of freshwater left. New Mexico has only 10. 4. Arizona is already out of water. They are currently importing every drop in the state. Wake up people! How did we let this happen? The answer is complicated, but what is great to see are new solutions arising to attack the problem. As a market researcher, an observer and one generally interested how many get away with greenwashing, there is one brand that deserves attention. How do you create a brand out of something that is everywhere? It is owned by no one own. It costs nothing to produce. San Fran’s Golden Gate Park now has a monolithic, jaw-dropping, uber green building. It’s the new California Academy of Sciences (a.k.a. gigantic LEED platinum building) coming in at 410,000 square feet with a price tag of $488 million inspired by Renzo Piano. It’s beautiful. It’s sustainable. It's cool, geeky science blended with art. Even better, it houses an aquarium, planetarium, and natural-history museum all under its distinct key feature – the living roof. With about 1.7 million plants and spreading about 2.5 acres…it’s a carbon vacuum. Its structure is designed with a layered approach that promotes biodiversity. The layers include rock, fungi, and coconut-husk fiber that allow for the vegetation to absorb the proper amounts of oxygen and water. As for the guts of the building, the rainforest exhibit is heaven to a botanist. Its glass structure and specialized microclimate is ideal for the 1,600 animals and 30 orchid species. As for maintenance and cleaning, let’s just say there are many scuba drivers that are applying for applications. The massive aquarium does require regular algae cleaning amongst 38,000 undersea creatures. Experienced divers or rescue swimmers are welcome! Doors open on September 27th. I was waiting for the right time to blog about this topic. It’s been around for a while and we see it everyday in form of products, computer processes, packaging…and more iterations are coming. Yet, only until recently has the average Joe actually “learned” what biomimicry is and how we have essentially begun to integrate its aspects of nature into the design process. Who is the expert in biomimicry? Jane Benyus is one top name. Why it matters? Mother Nature designs things for a reason, with logic and purpose, which benefits a particular species. Japan’s bullet train leveraged the kingfisher’s beak. This bird can dive from air into water with a minimal amount of resistance due to its beak. The aerodynamic design of the train reduces the sonic boom that occurs when the train passes from a tunnel back into the open air, reducing noise pollution. We have platelets in our veins that act as guardians. They usually rush to the scene when we get a paper cut to stop the bleeding and help to heal our wounds. The same technology and process used by platelets inspired Brinker Technology when it came to maintaining the oil pipelines. Special “platelets” were designed to seal leaks and prevent cracks in the pipe walls by using a radioisotope that marks the location for engineers to investigate. Showing colors for QualComm was a nature-inspired mirasol display, which conveys color in the way a butterfly shows off its brightly colored wings or a peacock displays its plumage – using light! Rather than showing pigmented pixels, tiny structures that variably reflect light in such a way that specific wavelengths of light interfere with one another to create vivid colors. This has helped cell phones and other electronics reduce their power consumption. Of course there are many other examples - good and terribly bad case studies. I'd like to hear what examples you have seen in today's economy. Check out these good ones first by Jane Benyus. Moving your house - just bike it! I stumbled upon other blogs recently that have been posting about crazy stuff. Nuclear green material. Sustainable clothes. Eco-friendly drugs. But I really wanted to write about something more unique. Then it hit me. I asked myself "Is this for real? Why? How? Are you crazy?" But after giving it a bit more thought...damn what a unique idea! Bike Snob opened my mind to a whole other niche of people who are dedicated to moving via bikes. That's right! You need to move from east side apartment to west side bachelor pad? Just get your buddies together, get the community pedaling and all your "stuff" gets transported. There have been regular occurances in NYC, and I thought that was just a function of the crazy city life. But actually, Boulder and Ottawa are hotspots, too. Saves you money. Saves the earth. Reduces your carbon footprint, and its a damn good workout. San Antonio, Texas is capturing methane, about 140,000 tons per year, from sewage in an effort to reduce greenhouse gases and contribute to the carbon exchange program. If you haven't realized this by now..its not new. For starters, it's an attractive opportunity given the financial incentives and new revenue streams. For example, particular agricultural practices (yeah that's farmers) are credited with carbon offsets as they institute “methane capture” programs from livestock farms, which reduce the impact of a highly potent greenhouse gas, reduce odor and pest issues and provide a new source of income for farmers who often struggle with razor-thin margins. In short, agri-businesses both large and small can financially benefit by participating in carbon sequestration – a process of removing carbon from the atmosphere to reduce climate change. The carbon offsets credited to farmers are then sold on the voluntary market whereby companies, governments and businesses then purchase the offsets to compensate for their own carbon emissions and uses. Some believe that buying carbon offsets from agriculture as a legal atonement for their own pollution. Now thinking about carbon and methane, they are essentially commodities within the voluntary exchange market much like trading stocks. Only in most cases of methane, you usually get more bang for your buck. Relating this back to San Antonio, the contract was approved this week to sell 900,000 cubic feet of natural gas from the sewage each day to Ameresco, a Massachusetts energy services company. You might be wondering what exactly does one do with this much natural gas? It can be used as fuel in turbines, steam boilers, or compressed natural gas can be used as vehicle fuel. Oh and NASA is smiling as they research its potential as rocket fuel. Meanwhile, as San Antonio’s sewage generates oodles of gas each day, say about enough to fill seven commercial blimps or 1,250 tanker trucks, they will also be pleased to receive $250,000 a year for the methane, which I hope will go towards more renewable energy efforts in the area. What's the saying...water, water, everywhere and not a drop to drink. That is currently becoming the evolving story behind many of the islands and marine life that are part of the Great Pacific Garbage Patch. To put it in simple terms, plastic outweighs surface zooplankton six to one in the North Pacific gyre. There is more debris and junk out there than you can imagine and it is killing birds, fish and anything that swims near it. Somewhat like the blob, but worse and real! How does all of this happen? When a plastic cup or container is thrown on the beach it gets caught in the California Current, (for example) which travels down the coast toward Central America, perhaps off the coast of Mexico to connect with the North Equatorial Current, which flows toward Asia. Off the coast of Japan, the Kuroshio Current could push it eastward again, until the North Pacific Current takes over and carries it past Hawaii to the garbage patch. These are the oceans currents that make up the North Pacific Gyre - the ultimate garbage vortex. Now granted it takes years, decades actually, for such an amount of debris to accumulate. However, is it really that hard to imagine given we consume billions of plastic items each day? Think about it. Our coffee cups, containers, fittings, caps, pop bottles, grocery bags, plastic forks from picnics and cafeteria lunches, breakfast yogurts, workout bottles, etc. Plastic is everywhere! And not every manufacturer can afford to incoporate the use of biopolymers and biodegradeable products. Collect energy now in a bag. These unique totes and messenger bags by Noon Solar offer a design philosophy that incorporates eco-chic, iconic, technology and diversity. With different styles for men and women, they combine German leather with Japanese color dying techniques. As part of trying to live a sustainable life, harnessing the sun's energy is ideal to power our iPhones, iPods, Blackberry devices, cell phones, digital cameras and so much more. Why not just consume less, right? Those NASA scientists have been busy. Their late 2006 invention was a special gel (perhaps magic gel?) that allows seeds to grow within glasstubes. On the market it is known as the Plantarium Single Vial Garden Lab ($10). At seven inches tall, you can select from a variety of seeds: basil, melon, marigold, pepper, sunflower and tomato. Most of those sound like good toppings for a sustainable, low embodied energy pizza! It weighs only 140 pounds. and runs off a revolutionary lithium-ion technology that is completely non-toxic. It's the Zero X Electric Motorcycle ($7,450). It has a range of 40 miles per charge with a frame weight of 18 pounds. 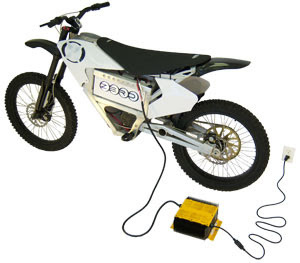 With a top speed of 60 mph, this off road electric warrior is sure to make heads turn. Now the concept has been around for quite some time, but making it come to life in a safe, mechnical and affordable way is now here! It is an ideal sustaino toy that is fast, clean and light for everyday adventures and maybe even a stroll to work. It's resilient like flooring, hearty like mom's soup, and lasts about 30 to 40 years (longer than your high school yearbook). What makes the South American jatropha plant so important? Let's ask the Israeli company, Galten, who made a $10 million investment in this future biofuel seed. That's exactly it. A seed. 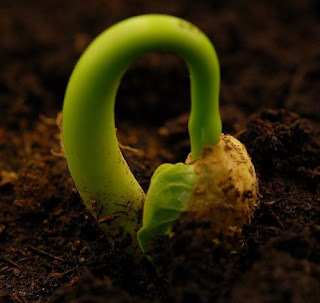 A lonely seed with a big 40 percent potential of changing the biofuel industry. As with all these plant-like organisms (algal, sugarcane, switchgrass, etc.) the biggest challenge is harnessing its energy potential. Perhaps they should call Glen Kertz from Valcent Products for a solution.